Zanden Locksmith and Security provide a fast, reliable & professional locksmithing service. 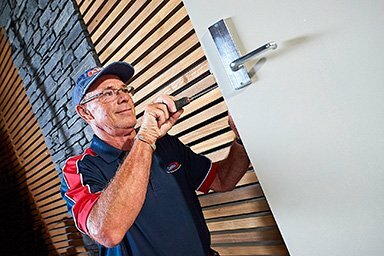 We have four fully equipped mobile workshops that travel Tauranga wide 24/7 and we supply all major lock brands and associated door hardware. Zanden’s also have a workshop situated at 75 Newton Street that is open week days equipped with the latest key cutting technology and offer personal assistance.